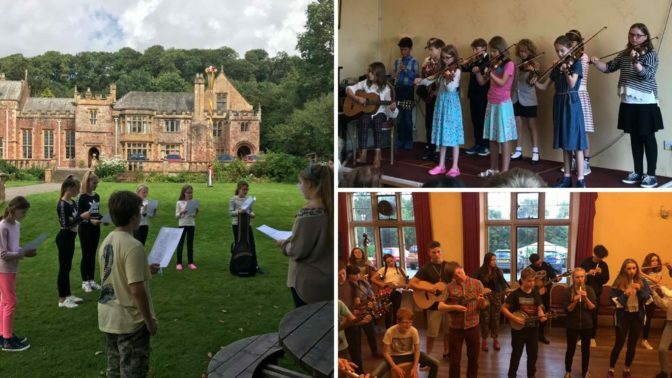 Now in its third year, our popular Halsway Young Folk – Juniors is a great introduction to folk music and dance for ages 8 – 12. Led by experienced teacher-practitioners Claire Bailey and Ford Collier*, this short residential will be filled with fun and creative folk activities, using local traditions and customs as inspiration. Children will explore music, dance and song, and create and perform a show for family and friends. Arrive Tuesday at 11:30am; there will be a performance by participants at 11:30am Thursday, followed by farewell picnic in the garden – family and friends welcome. * We will bring in additional tutors as numbers require; we like to work to a ratio of no more than 10 children per tutor.